Amazing and incredible are words I will use to describe the phenomenon of Pokemon Go. They are still playing with the Beta version and the growth is amazing. So far there hasn’t been a place where I walk in and people don’t know about this game. But like with everything there is good and bad. The good comes from the basis of the game which makes you get out of the house, socialize, talk and walk. By itself this is great as technology was making us into an antisocial/dysfunctional community. I was seen more couch potatoes and wordless conversations between people sitting across each other. Now with Pokemon Go I see people in public places talking with one another and sharing information. From the clinical standpoint is almost like a miraculous cure for people suffering from mental illnesses as the obsession with the game is overpowering their fears and limitation of breaking their routines and socializing. I actually already know of cases that if the information wasn’t first hand I wouldn’t believe the changes I’m seen. On the other hand I also see the negative potential of this game as abusers may see Pokemon Go popular spots as hunting grounds for other purposes. I also see a negative factor as some players may get to be so involved in the game that they will forget the basics regarding safety and common sense. 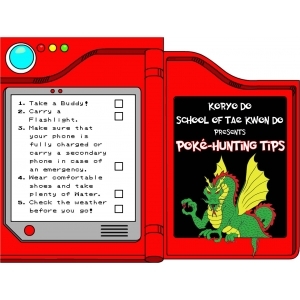 Based on that thought I couple of my instructors came with the idea of creating a Pokemon Go safety tips column that we will update on a regular basis. 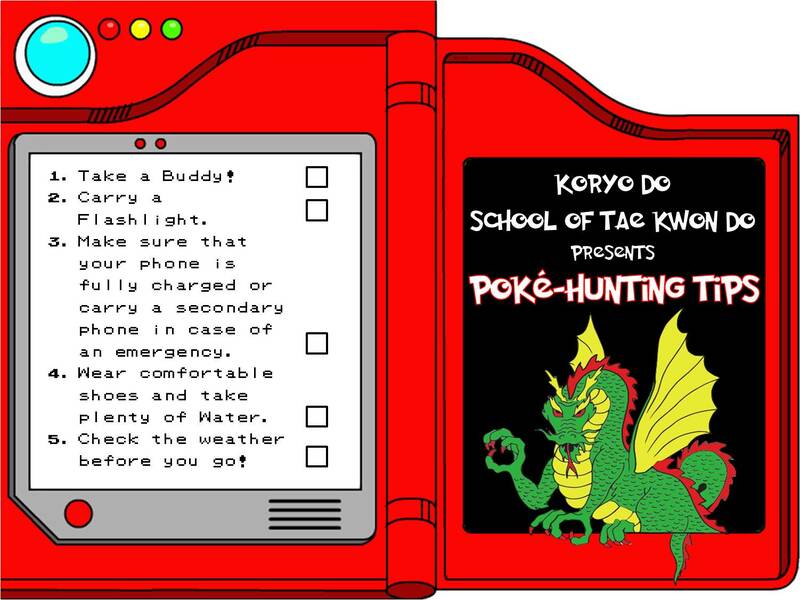 I actually want to go farther and organize Pokemon Go hunting parties where we go as a group hunting for Pokemons for an hour then break for a self-defense class. I like this idea because as we go hunting in packs and with one or two black belt instructors the chances of someone trying to take advantage of anyone within the pack are reduced. Also because we get the opportunity to teach participants something of value that will stay with them regardless of where they are. In the meantime, Pokemon Go, as everything else, has good and bad potential but it is up to us to maximize its benefits while minimizing the risks.